MACHINE WEIGHS--150LBS. 18" SEEDING WIDTH. HOLDS APROX. 30 LBS OF SEED. 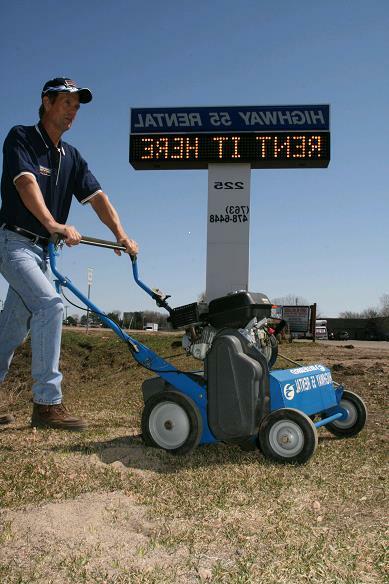 * Please call us with any questions you may have about our over seeder bluebird in Hamel MN, Plymouth MN and the Twin Cities.